Sparkling clear blue-green cubic zirconia butterfly gemstone earrings. 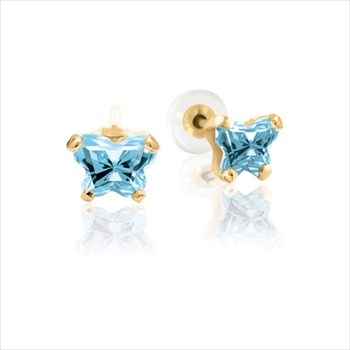 CZ color resembles aquamarine (March birthstone). Set in 14K yellow gold and sized especially for the smallest ears (0-3 years) through grade school girls (ages 5 - 10). 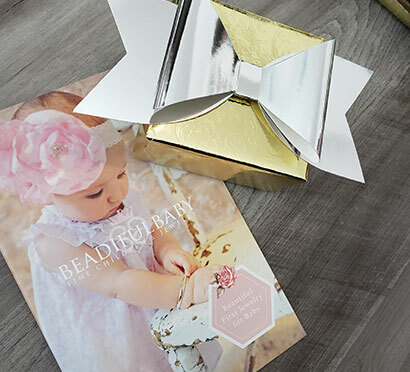 These beautiful earrings make the perfect birthday gift for a baby or toddler.